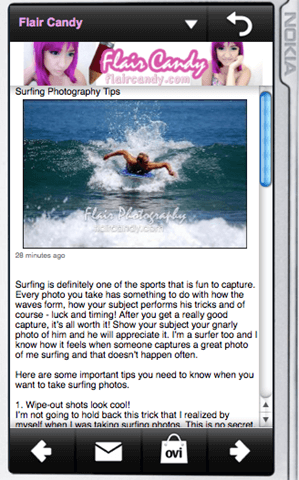 Home > blogging > FlairCandy Ovi App for Nokia Is UP! FlairCandy Ovi App for Nokia Is UP! You can view the FlairCandy app on Ovi here. 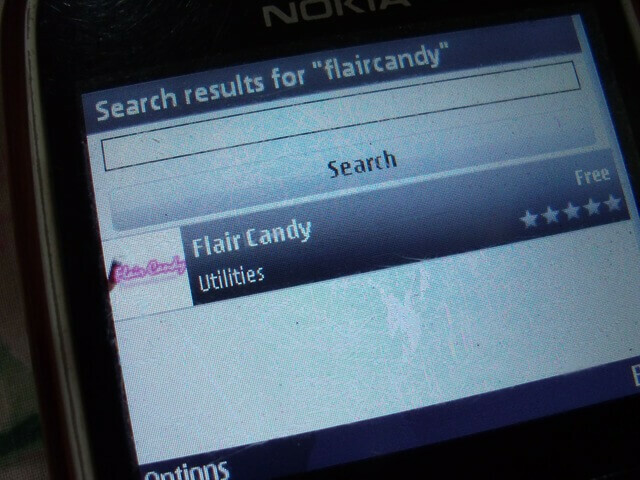 Viewing the Flaircandy app on my own Nokia e63. Donâ€™t you know that you can make your own Nokia Ovi app too?Â Just follow the instructions on the Ovi app wizard and youâ€™re ready to go! 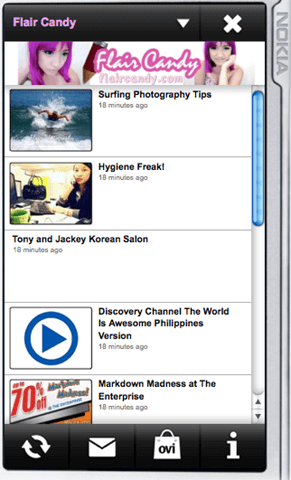 Itâ€™s free and very easy to set-up!Â So make an app for your blogs too and make your blogs officially MOBILE!